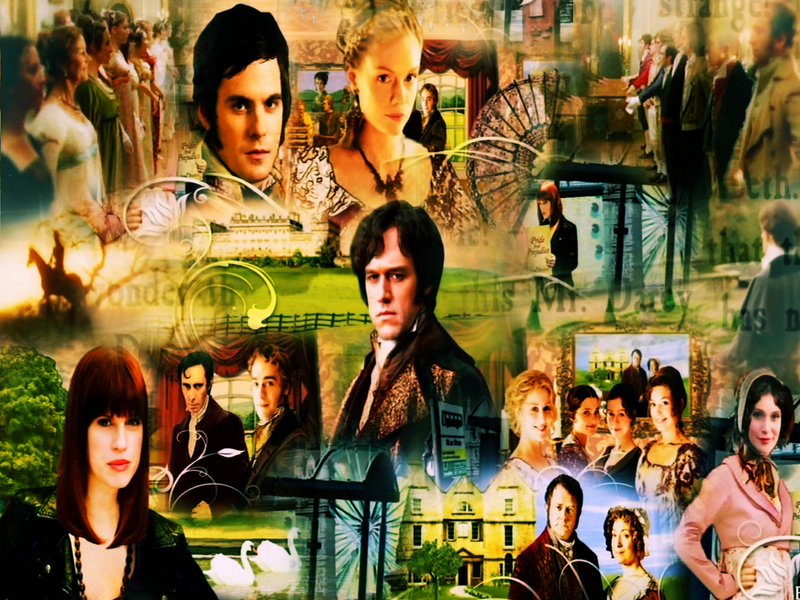 Lost In Austen. . HD Wallpaper and background images in the Period Films club tagged: jane austen pride and prejudice lost in austen. This Period Films wallpaper might contain segno, manifesto, testo, lavagna, and poster. I like the way your wallpaper is jumble together...kinda comical like Lost in Austen itself! Beautiful wall :-) The aspect ratio is off, though, so I re-sized it to 1280x800 and it looks perfect!